We all love cute little rabbits. But did you know that rabbits are the perfect small-space livestock for food gardeners or homesteaders? They are easy to care for and can provide nutrient-rich manure for your compost and garden. Plus, many breeds (like Angora) have hair (or fiber) that can be used for spinning. In other words, they provide a product that can be sold or used at home. It’s a win-win! Now you may be concerned about how a rabbit’s “wool” is harvested…We discuss it in the episode, but here’s the scoop. Fiber rabbits have special needs when it comes to their everyday care. And proper grooming of those fluffy rabbits means that they do not mind if their coat is clipped or used for fiber. The key word here is “proper”. In fact, responsible fiber rabbit owners know that grooming is a necessary part of keeping these rabbits healthy, comfortable and part of the family as a much-loved pet. 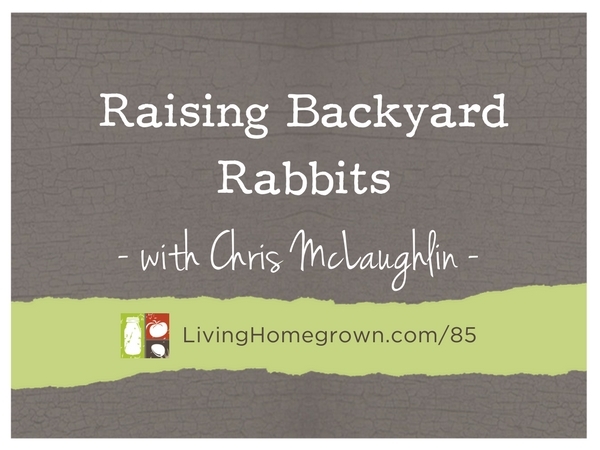 In this week’s podcast, I interview Chris McLaughlin of Laughing Crow and Company to talk all about raising backyard rabbits and how any rabbit breed (not just fiber breeds) can be a beneficial addition to your garden system. Chris McLaughlin is a Northern California writer and author who has been gardening for over 35 years in every gardening situation she could think of. She’s the author of six books including A Garden to Dye For (St. Lynn’s Press) and Vertical Vegetable Gardening (Alpha Books). Chris’ work can be found in Hobby Farm Home Magazine, Urban Farm Magazine, The Heirloom Gardener Magazine, Now Mother Earth Living, and Fine Gardening Magazine. 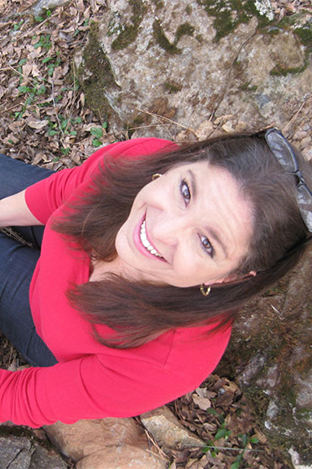 Online, she’s written for a variety of gardening sites including Vegetable Gardener.com, About.com, Fix.com, and From Scratch Magazine. Chris and her family live on a flower and fiber farm in the Northern California foothills, where they grow flowers, fruit, and vegetables alongside their fiber animals. Hunt her down at her personal website Laughing Crow and Company (see all her links below). Click here for the full transcript of Episode 85. Thank you for spreading the word on the joys of rabbit-keeping. I had one Flemish Giant and Angoras for years and loved them for temperament, spinning and beauty.